While the world watches two intense dramas unfold in Europe and the Middle East, the geopolitical instability seemed to have little immediate impact on gas prices, and consumers across the country enjoyed a refreshing, large decline in the price of retail gas. 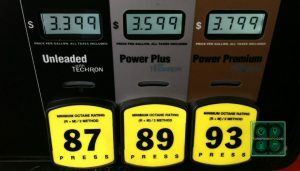 The latest survey from the U.S. Energy Information Administration shows the price of an average gallon of gas dropped over 4¢ during the past week, settling in below $3.60 for the first time since the beginning of April, at least on a nationwide basis. 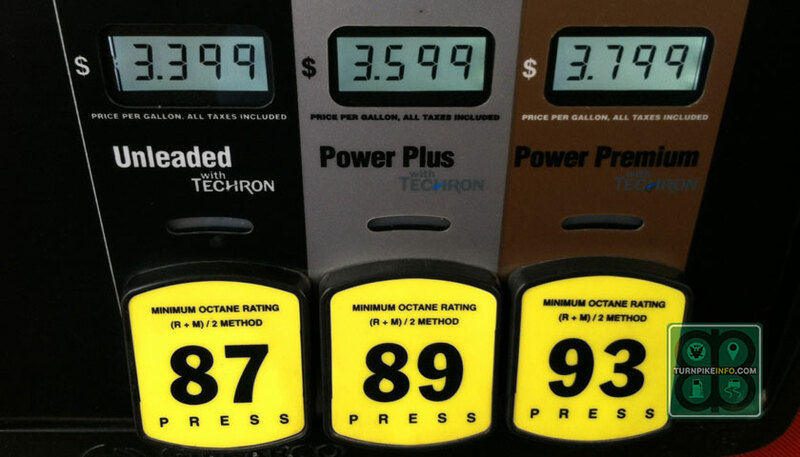 Region by region, the average price of gas is no longer exceeds $4.00 in any survey area. That is the first time that has happened in three months. In some areas, the retail fuel cost is now less than $3.40. 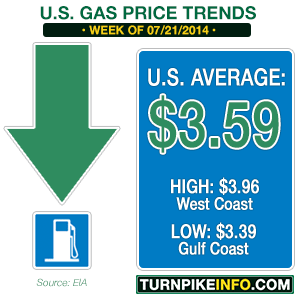 The news is particularly good across the West Coast, where prices had been stubbornly above the $4.00 mark for month. However, California drivers have not been spared the pain of that dubious price point just yet. Drivers in the Golden State are still paying an average $4.03 per gallon, but that is 10¢ cheaper than two weeks ago. Moreover, the recent retreat in crude oil prices and a decline in wholesale prices have both contributed to a turn-around in prices at the retail level, which have been, for the most part, pushing higher since the start of the year. In other regions, the cost of gas dropped below $3.40 for the Gulf Coast, where prices are typically the lowest in the nation. Prices in the Lower Atlantic states dropped below $3.50, while prices across the broader East Coast dipped under $3.60. 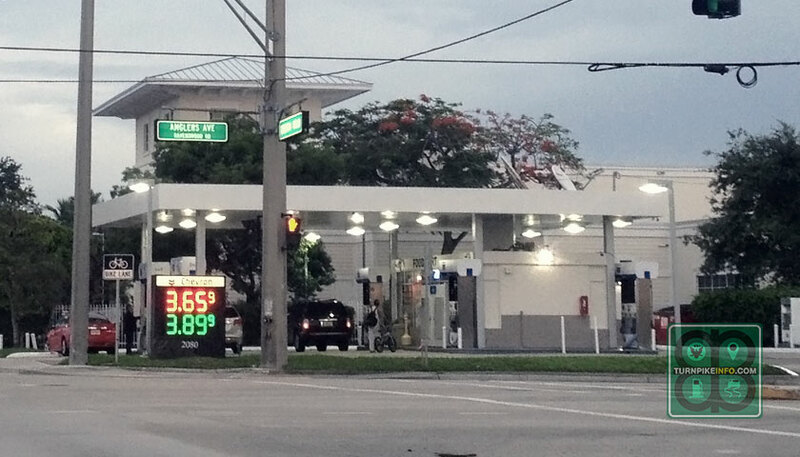 Some city gas prices remain well above their regional price averages, like at this station near Fort Lauderdale’s aiport. Below: Gas prices next to Texas Route 45, a toll road near Round Rock, were in line with regional prices, as reported by the E.I.A. Photos: TurnpikeInfo.com (top) and Kristen Scallion (bottom). For city drivers, the price of gas remains above their regional averages. While the prices in the urban cores have come down, along with the national averages, the range across a single city can still vary widely. Prices near the downtown Fort Lauderdale area were at $3.79 per gallon, although that was 10¢ cheaper than one week ago. Near the airport, and along Florida’s Turnpike, the prices were lower, but still well above the regional and state averages. In Texas, which is part of the Gulf Coast region, the price of gas was slightly higher than the region, itself. TurnpikeInfo.com spotters found prices at some stations adjacent to Texas toll roads where prices were in line with the regional averages. Closer to Austin, the prices are historically higher, especially adjacent to the Capital of Texas Highway and near Austin-Bergstrom International Airport. The drop in gas prices comes amid new turmoils in Ukraine and in the Middle East. In fact, before renewed tensions in the past week, domestic crude oil prices had been coming down. Investors seemed to be assured there would be little supply disruption as the result strife in Iraq. However, newly-intensified U.S. sanctions on some Russian companies and individuals added new strain to relations between the two nations in the ongoing situation in Ukraine, and that was before the downing of a Malaysian Airlines jet last week. Then there is Israel’s military actions in Gaza, which expanded the range of Middle East territory now engulfed in military turmoil. The Middle East has vacillated from one crisis-level to the next since last summer, when the potential for a U.S. intervention in Syria was first seriously discussed. Problems in Libya, Iran, Iraq and now Israel have fomented and renewed political discord and, as a result, investor jitters about crude oil supplies. The result is fresh concern about oil supply disruptions, which has caused investors to bid West Texas Intermediate contracts back above the $100 level. Prices had traded below $100 as recently as one week ago, but WTI futures were trading over $105 per barrel at times Tuesday morning on the New York Mercantile Exchange. The current contract bids are for August delivery.